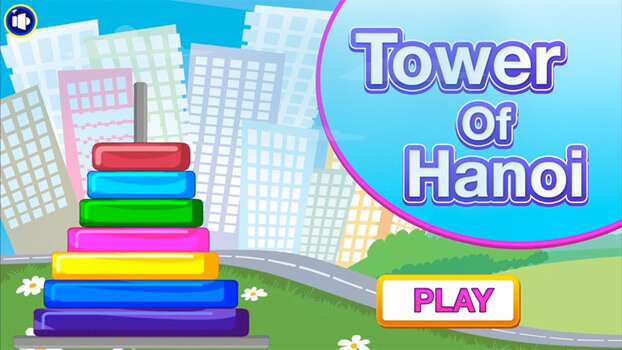 The Tower of Hanoi (The Tower of Brahma or Lucas’ Tower) is the most fascinating puzzle of all time. 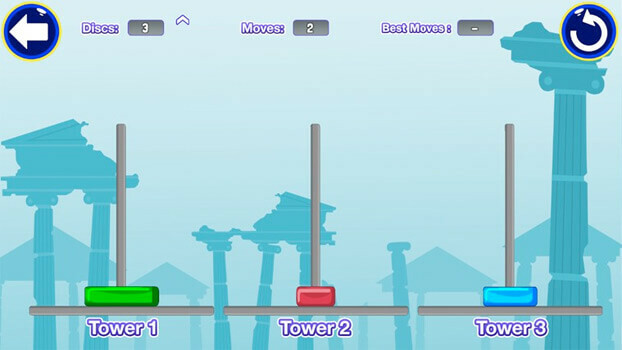 The basic idea is – the game consists of 3 rods and a number of disks of different sizes which can slide onto any rod. The puzzle starts with the disks in a neat stack in ascending order of size on one rod, the smallest on the top. 2. 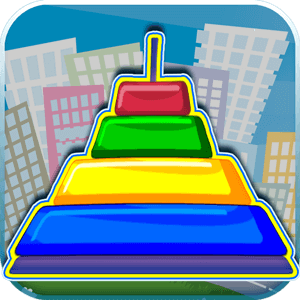 Each move consists of taking the upper disk from one of the stacks and placing it on top of another stack. 3. No disk may be placed on top of a smaller disk. 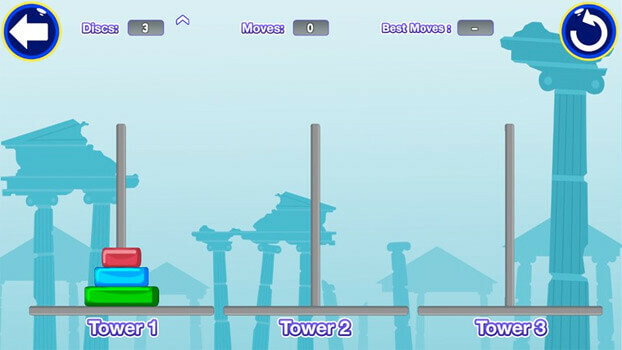 With three disks, the puzzle can be solved in seven moves. 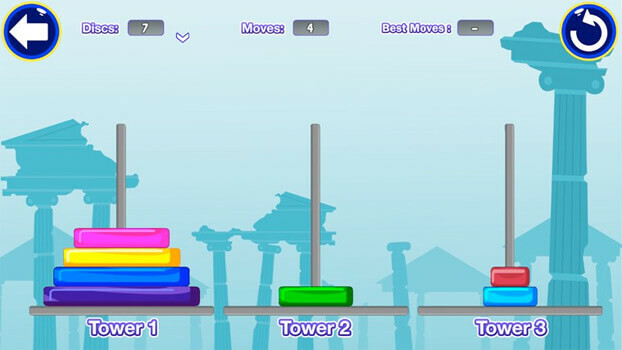 The minimum number of moves required to solve a Tower of Hanoi puzzle is 2^n – 1, where n is the number of disks. 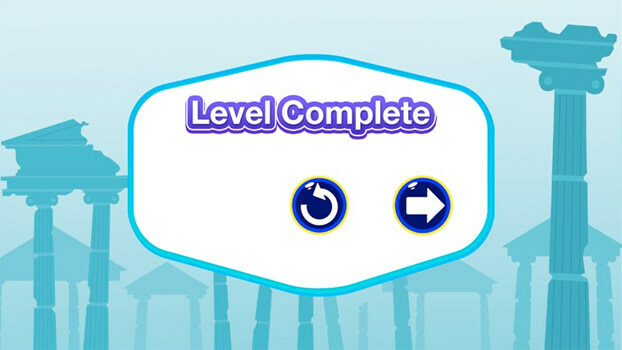 This game has got 5 levels and number of disks starting from 3 and max. of 7.